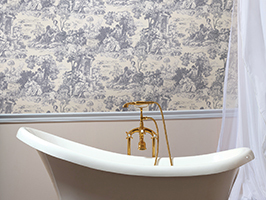 Redecorating a kitchen, bathroom or bedroom can sometimes be a real challenge, especially if you don’t really know where to start. 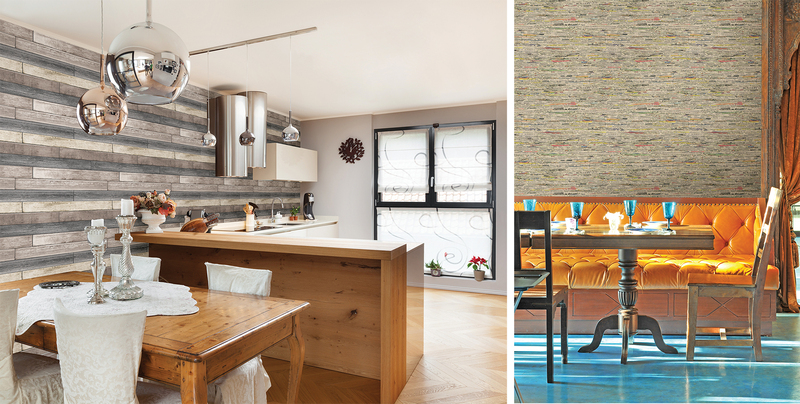 With so many options on color, pattern and finish, rounding up what works for your own space may take months, or even years! 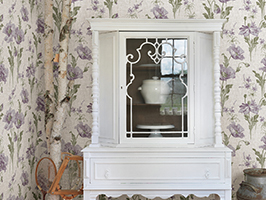 Now this is where our resource collections come in. 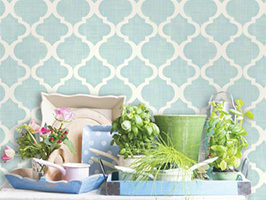 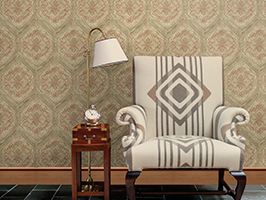 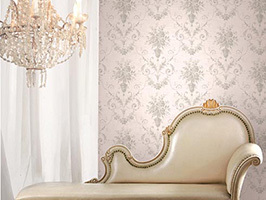 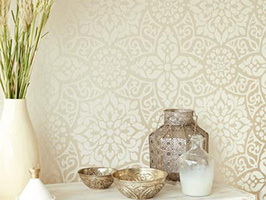 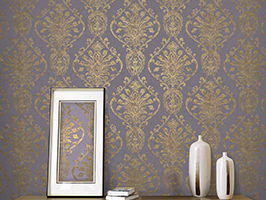 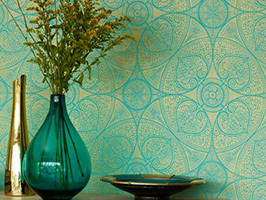 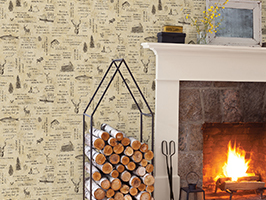 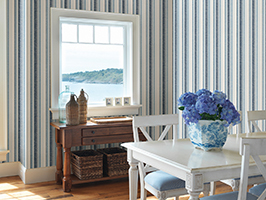 Meant as a guidebook for YOU, these wonderful assortments bring you the freshest wallpaper designs for those challenging spaces in your home. 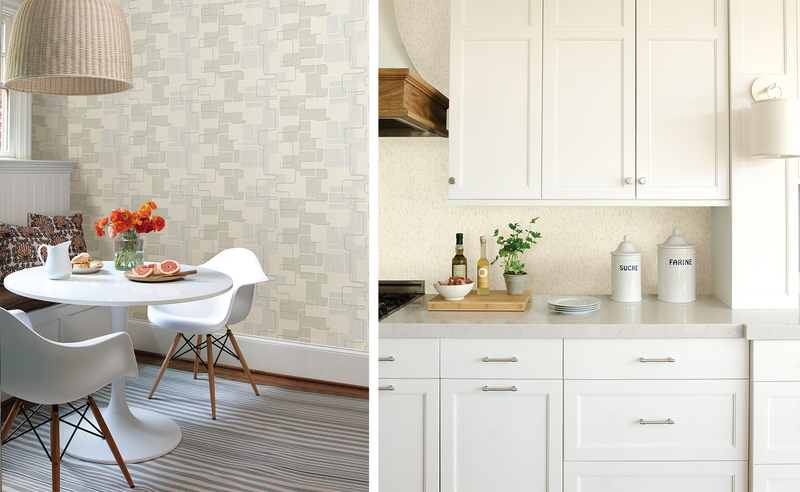 Now meet Kitchen, Bed and Bath IV, a hip collection of wallpapers specifically tailored for these special areas, so that you can feel truly confident on your next decor project. 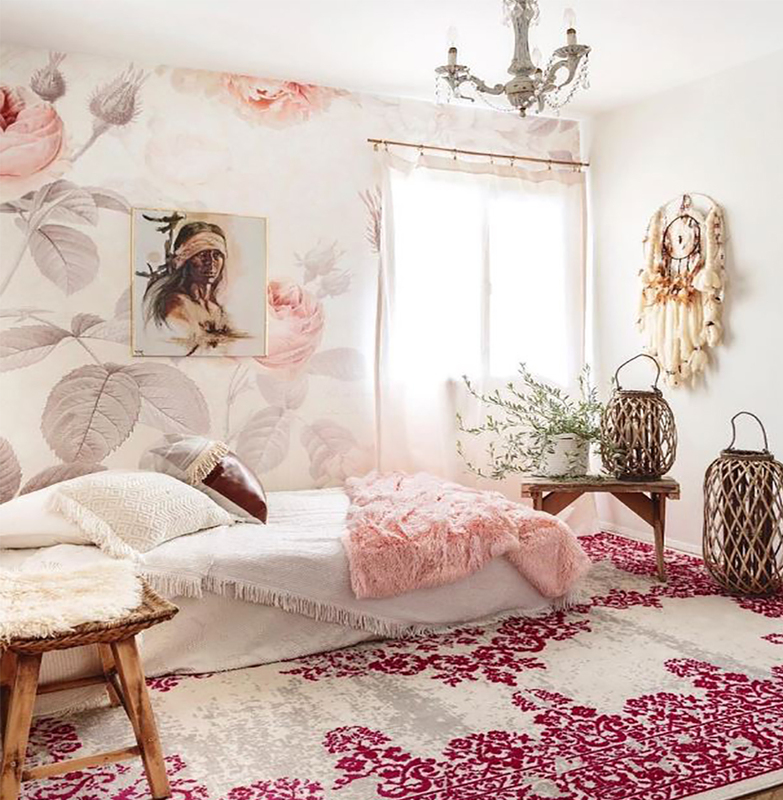 Filled with flowers, geometrics, textures and damasks, this beautiful arrangement of styles and designs does not disappoint. 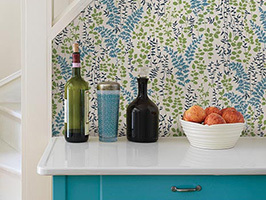 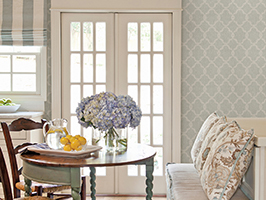 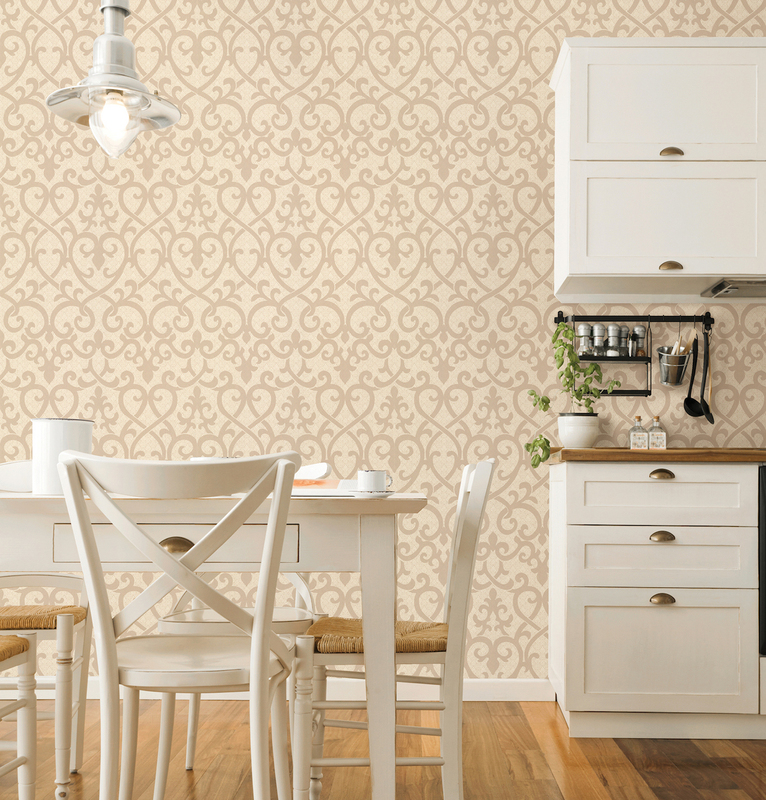 With styles ranging from contemporary to rustic, this gorgeous mix of wallpapers for the kitchen include an array of options such as a fabulous faux wood design or elegant scrollwork print. 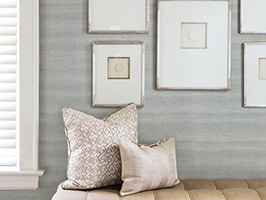 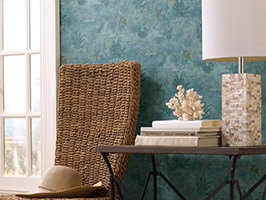 Beautiful textures abound in this new collection! 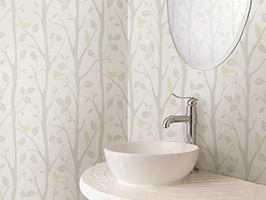 Most likely one of the smallest spaces in your home, the bathroom always poses a challenge when it comes to decorating. 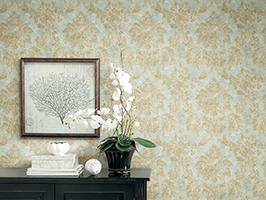 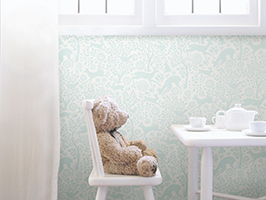 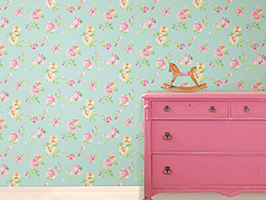 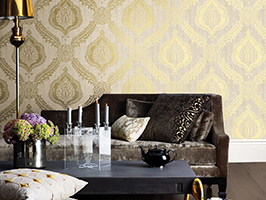 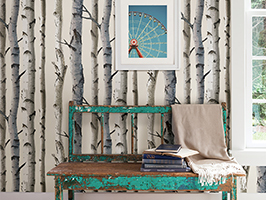 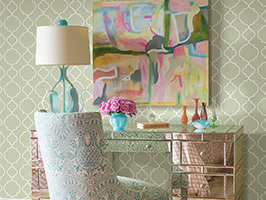 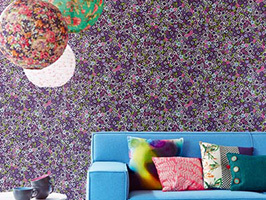 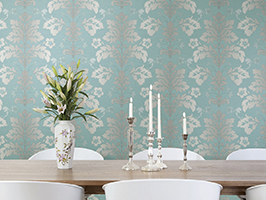 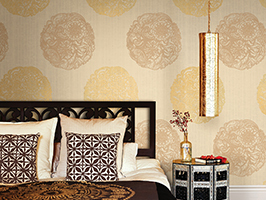 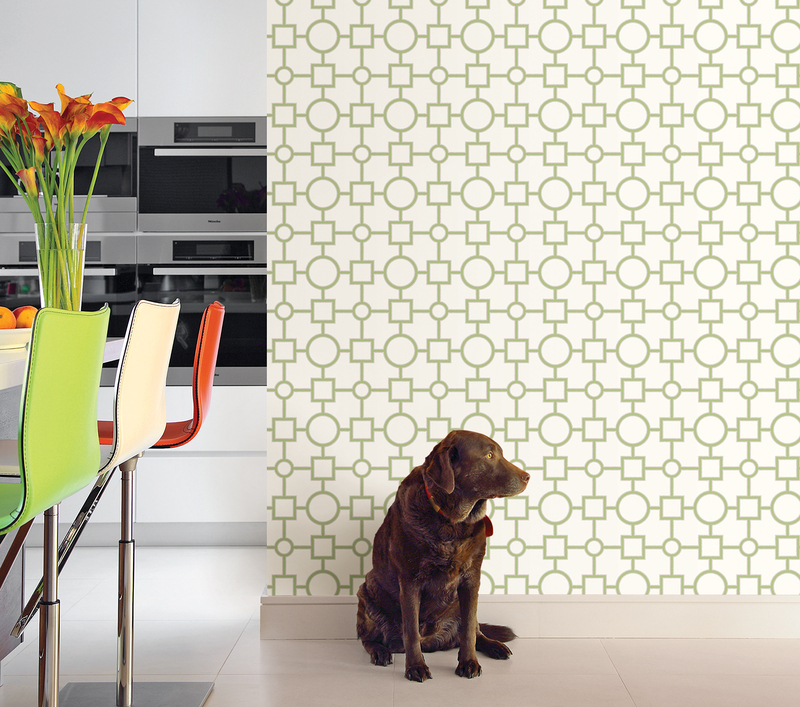 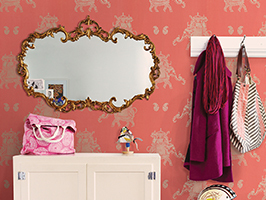 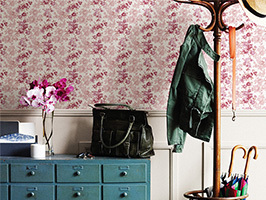 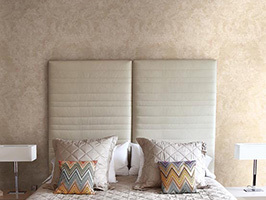 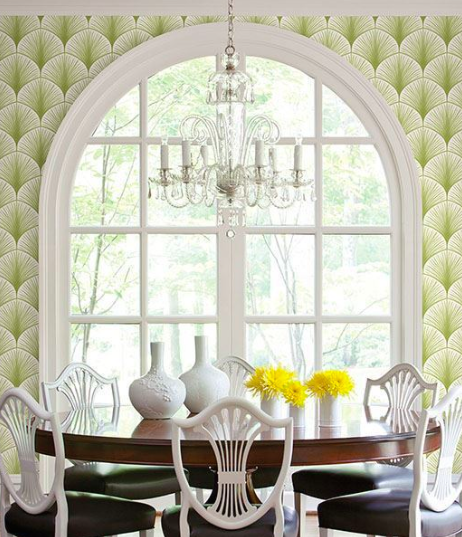 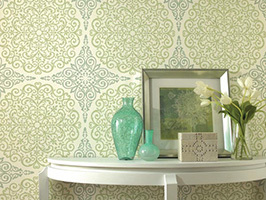 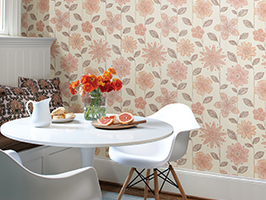 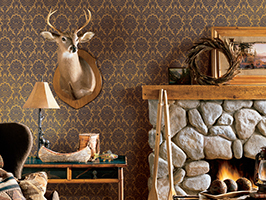 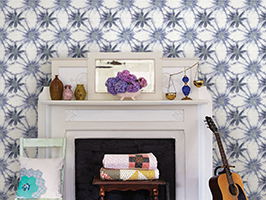 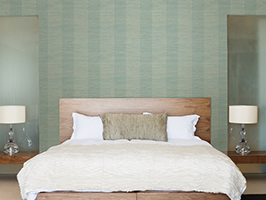 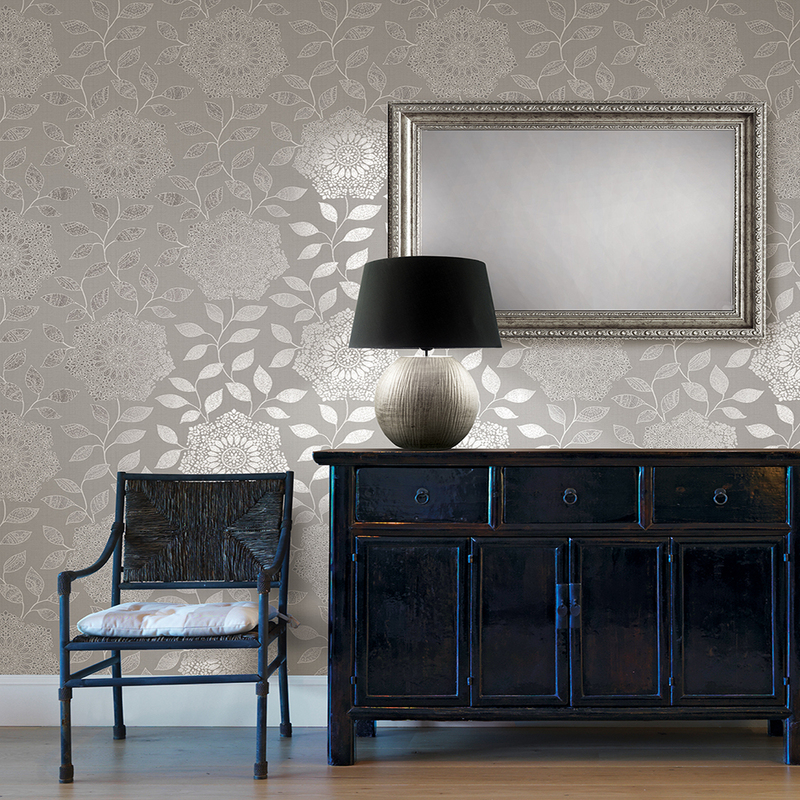 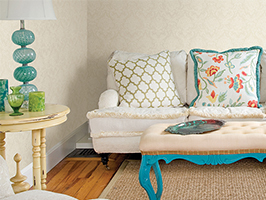 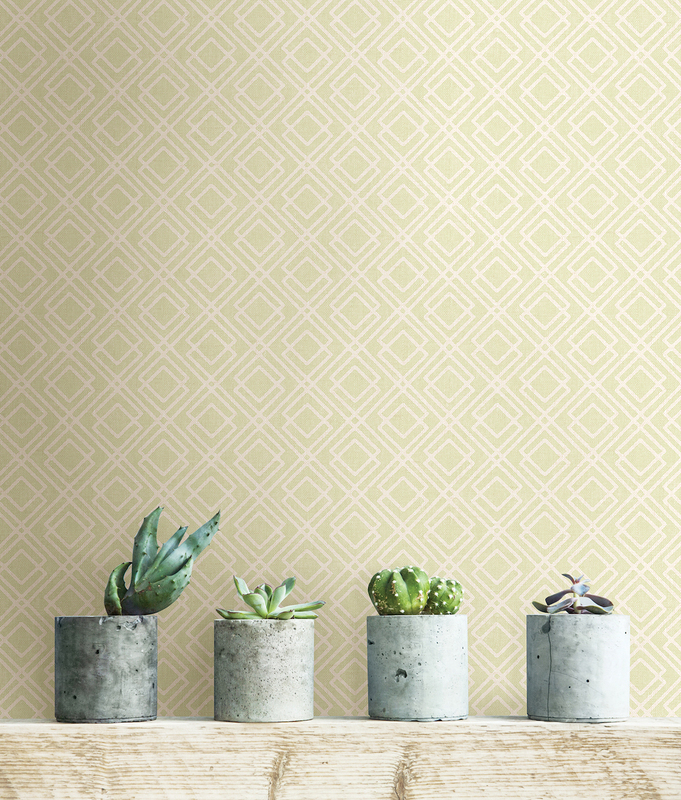 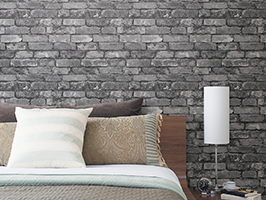 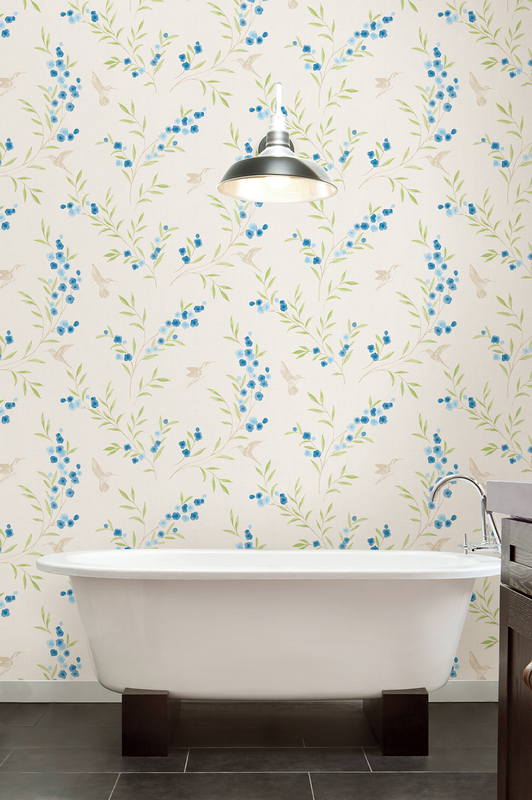 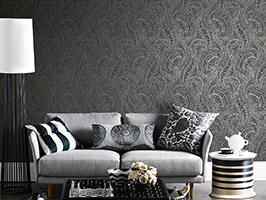 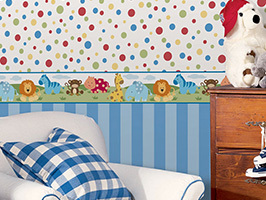 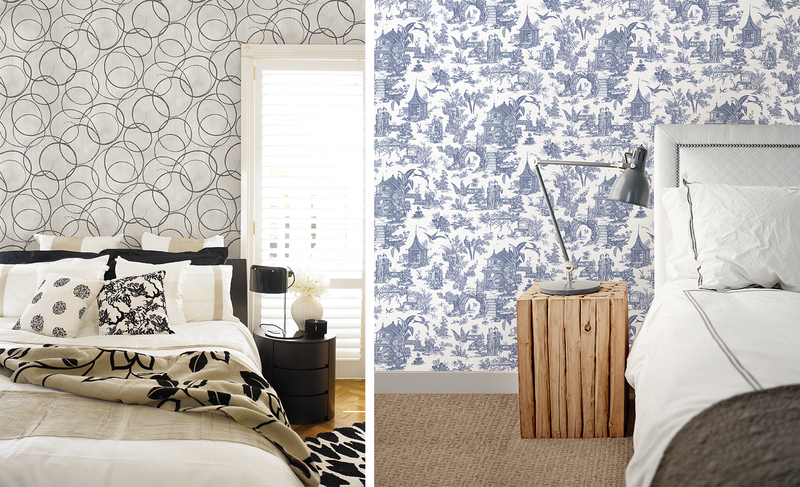 However, you’ll find with wallpaper that sometimes all you need is a big, bold print to really make a difference. 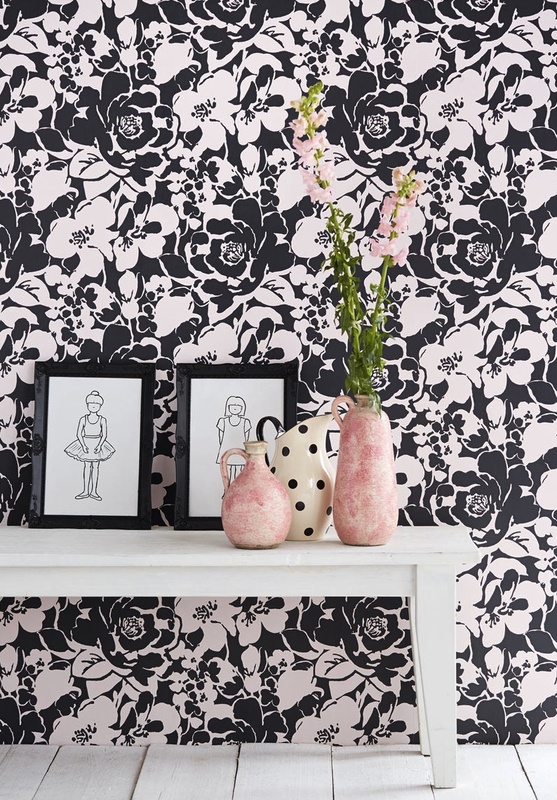 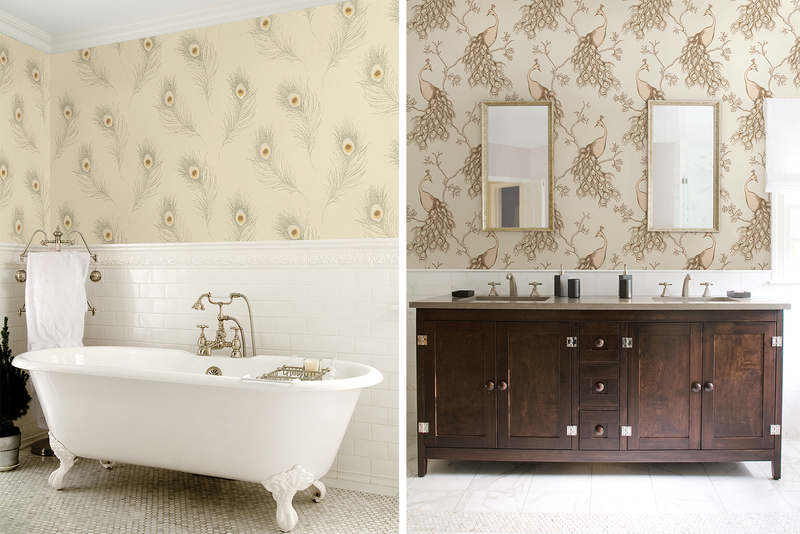 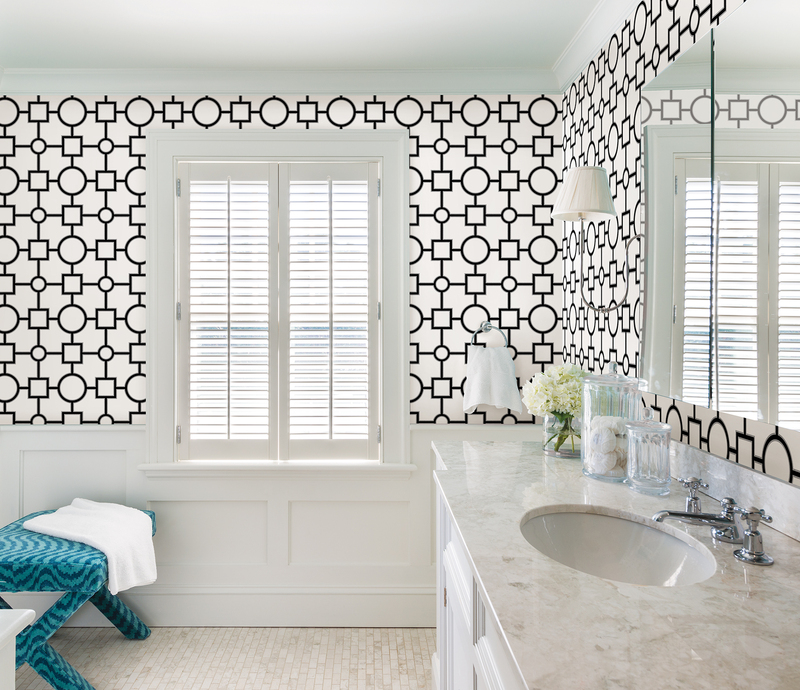 This black and white wallpaper turns any bathroom into a fashion statement! 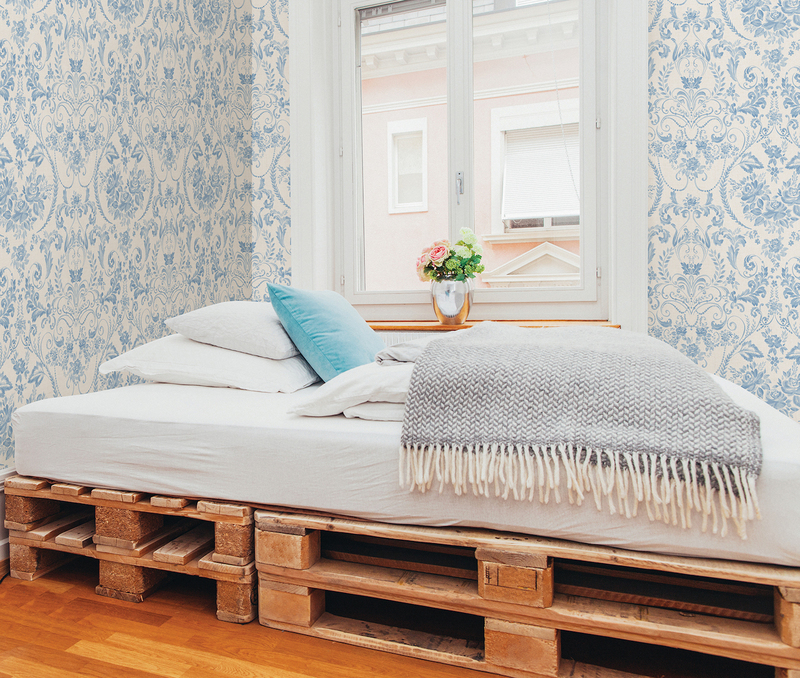 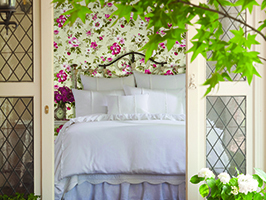 Your bedroom is an oasis, a place of rest and relaxation. 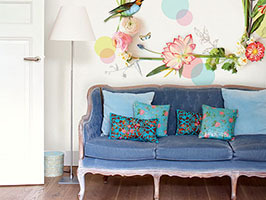 Therefore you want it to feel that way! 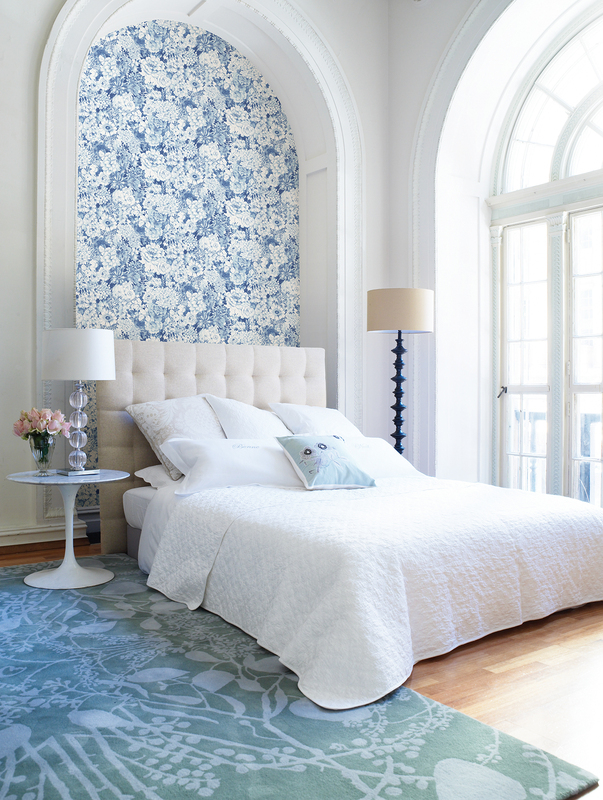 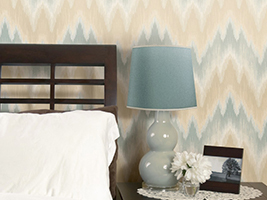 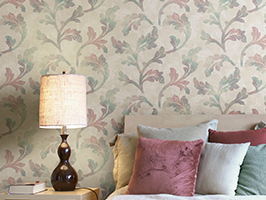 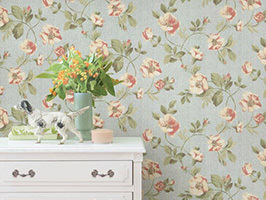 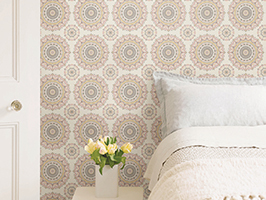 From lush florals to soothing color palettes, these bedroom wallpapers will both enchant and refresh. 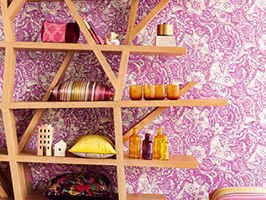 Make sure to check out the entire collection here!